Dive fans - check this bad boy out. We haven't seen a dive of St. Petersburg's Lakhata Center since controlflow's Drone Video of the Year nominated dive. Europe's tallest building had been missing the buzz of FPV props until this epic night dive by craig_dt came around. Bravo! 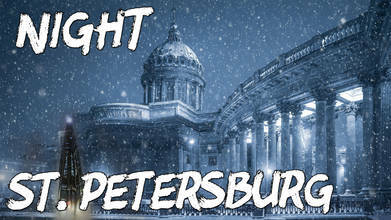 Description: You can see in this video a little trip to night St. Petersburg. Some dives and some columns. Dive of the tollest Europ building - Lakhta Centre - 462m.